Local business owner Andrew Riddel and partner Tracy Walters welcomed hundreds of visitors to the Wolds Wildlife Park off Louth Road last Saturday and Sunday. Lions, a tiger, wolves, camels and zebras were among the star attractions as people lined up on social media to praise the couple - and their staff - for an amazing day out. In message on Facebook, the park said: “We would just like to thank everyone who came to see our animals. The News was contacted by more than 20 people who visited the park while others took to social media to say thanks. Jenny Hall added: “You have done a fantastic job and the animals are all in their element. “Hopefully we can come next time you open as my little boy was really taken aback by getting so close. The success of the event was a major boost for Mr Riddel and Ms Walters, who are still waiting for planning permission from East Lindsey District Council. As revealed in the News last week, Larkfleet/Allison Homes - who have permission for more than 80 homes on a neighbouring site - have objected to the park and called on planners to refuse the application on a number of grounds, including noise and smell. However, several people told the News they hoped ELDC would approve the plans . One resident, who did not supply his full name, said: “It was a great experience to see these animals close up -and see what Mr Riddel is trying to do. “I was very impressed with the new animal enclosures, so safe and professional. 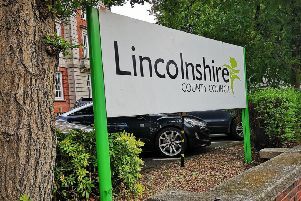 “I understand that there is a objection from a building company but would be such a missed opportunity for Horncastle and the rest of East Lindsey if they are successful in stopping Mr Riddel’s vision. Mr Riddel has offered to buy the site from Larkfleet/Allison but the company says it intends to go ahead with the development. • See more in tomorrow’s edition of the Horncastle News.